This is a list of things that you should own or have knowledge of before we begin. 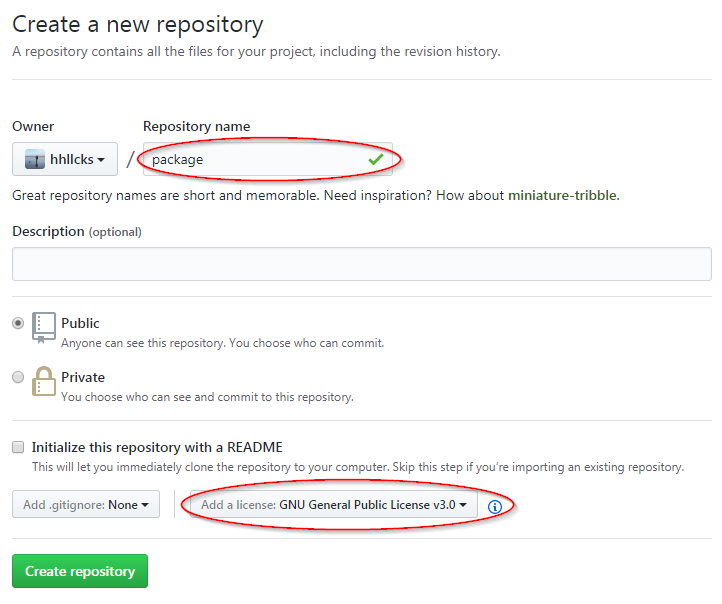 The first thing that you should do when starting a new project is creating a new GitHub repository. This will serve as a central point for storing your code. You can easily work with multiple machines and you do not risk losing your progress if your machine fails. You have versioning and issue tracking and so on. So, head over to GitHub and create a new repository. One thing I really struggled with for a long time is a proper folder structure for the python package. And I know that there is not the one perfect solution. Nonetheless I will present the folder structure that I used for my recent project soccer. Now we have to sync our package with GitHub. To do that you first have to initialize git in your package. Switch to the folder and call git init. The following commands will connect your local git repository with the one on GitHub. If you refresh the homepage of your package you should already see a nice new readme. First we specify python as the programming language (Travis CI can be used with a lot of different programming languages) and the version. I personally use Python 3.6 at the moment. The install command tells Travis CI that it has to install some requirements. 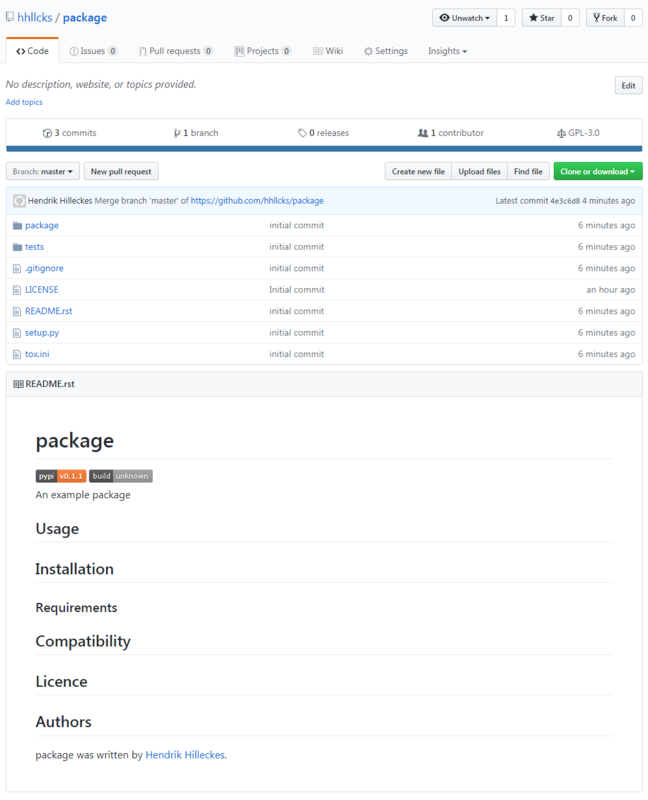 For example my package footballdataorg uses the requests package. Read more about the requirements.txt here. For the moment you can add an empty file called requirements.txt to your package. The script command tells Travis CI to run pytest after installing the package. More about pytest later. In short: you can write tests that will check if your code base still works. The last part is optional and you do not necessarily need it. Travis CI sends you a lot of mails when it tries to build your package. It changed the settings such that I only get a mail if the build failed. After adding, commiting and pushing the two files (.travis.yml and requirements.txt) to your repository your first Travis CI build should be successful. You can identify this by looking at the little batch in your readme file. This finishes the first part of my tutorial on creating a python package. You learned how to create a the python package and connect it to GitHub and Travis CI. 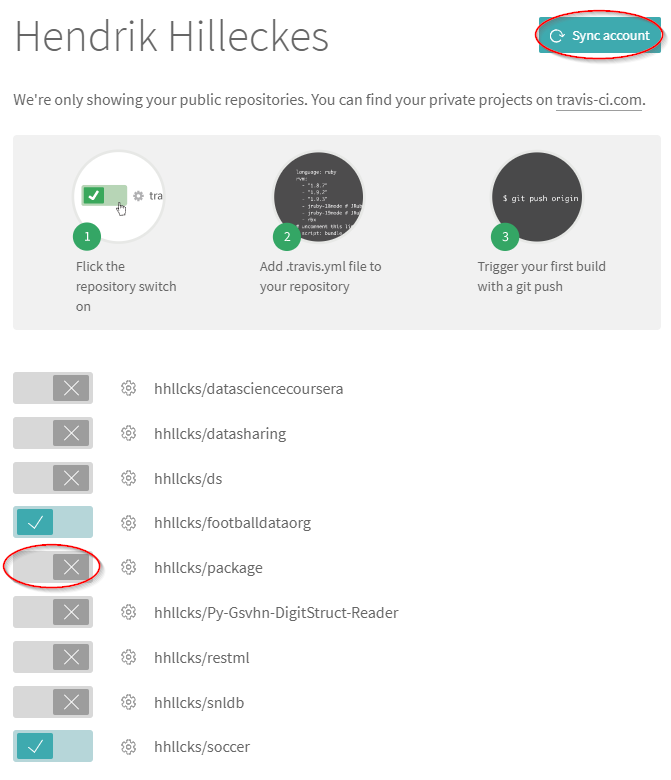 And Travis CI has already successfully installed your package. In the next part we will look at the setup.py file and learn how to upload the package to PyPi. We will talk about testing and logging, too. Feel free to comment or tweet at me if you have a suggestion on how to improve my process of creating new python package.